Looking at the many available offers about tasting of the typical products of the Amalfi Coast, the one of Hotel Margherita aims to be unique, exciting, and absolutely unforgettable! Talking about this, today we are going to meet Valentino Esposito, to uncover Valentì, one of the most renowned businesses of the Coast, dedicated to the production of marmalades, jams, limoncello, liquors, desserts, and much, much more. One of the experiences you can try while staying at the Hotel Margherita, is indeed the visit to his laboratory in Positano, and the tasting of something belonging exclusively to this land and the genius of Valentino, his wife and their business partners. Good morning Valentino, where is your business idea coming from? My mother, as an housewife, has always been a master in transforming every product you may have given her, from what my dad was fishing, to the fruits of our land, that were used to become marmalades and jams. 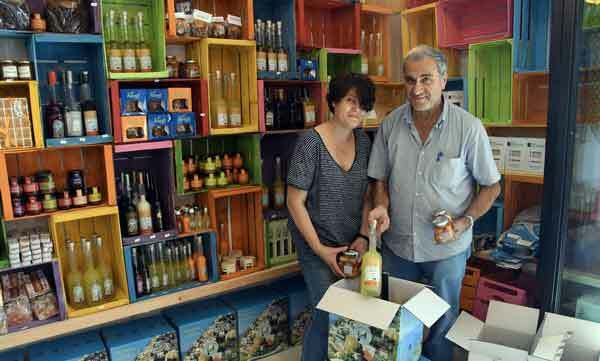 Few years ago, after focusing for a while on liquors, I found a working space in Positano and with my wife officially started this production, in the very heart of my city. Marmalade and jams for sure are two important sectors of our activity. They are all naturally made with typical products of the Amalfi Coast, such as lemons, grapefruits, tangerines and bergamot. The interesting thing we offer, next to this traditional production, is a spicy version of marmalades that is the perfect combo for cheese, cold cuts, fried fish etc., creating exquisite and unpredictable matchings. Also jams have their particular versions in taste, like the Pennata Pear and the Annurca Apple jams, but the bigger surprise is when you try the onion flavored one, spicy onion or candied datterini (small tomatos), both perfect for meat and fish. More than marmalades and jams, I know that creativity and bravery took you to new levels of creation. Our goal was and is to always create something new! That’s how we decided to reinvent the Panettone as Dolce di Positano (Positano Dessert), with inside limoncello and tangerine, and with the same technique we baked also delicious plum-cakes, holding the soul of the Coast. Moreover, we mixed the traditional geleè and hard candies with our citrus marmalades, without using the flavorings used instead in the industrial production. We don’t either! We produce white and dark chocolate stuffed with limoncello cream or lemon, tangerine and orange marmalade. Furthermore, we created candied citrus fruit covered with chocolate! And then there is Nocciolì, with nut cream and olive oil instead of palm oil! 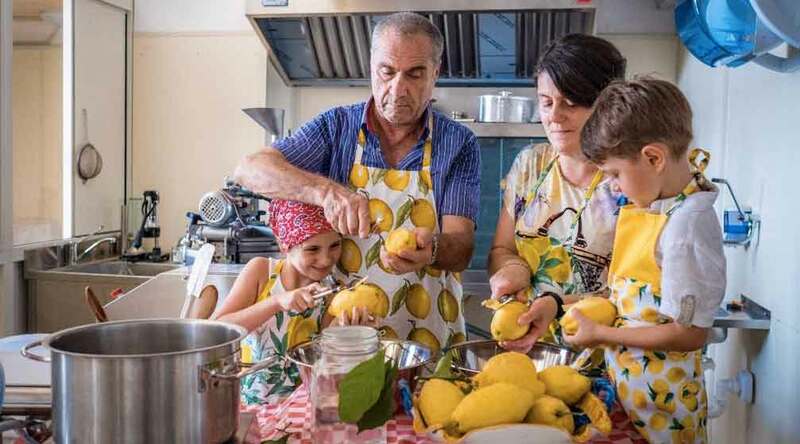 Of course, more than the tasting and the possibility to purchase our products, all our guests can visit the laboratory taking part to a real cooking class showing you some of the secrets of our jams, marmalades and the limoncello production… You are welcome to visit! 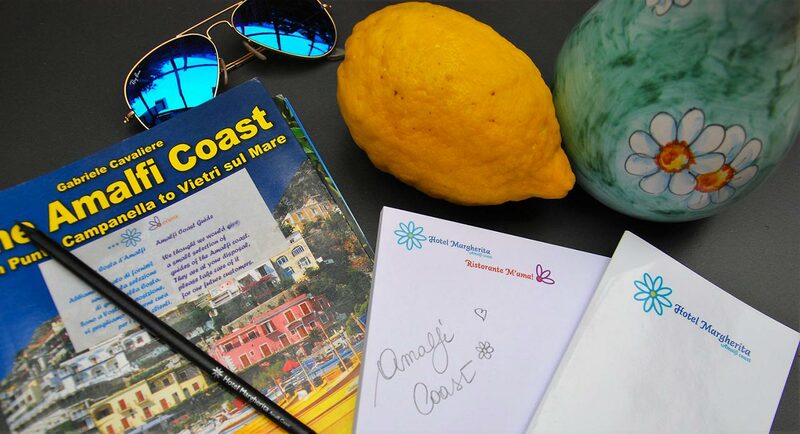 Well, if you have a thing for sweet tastes and the research of original flavors, you read the right article and we would like to be your hotel for a vacation dedicated to the uncovering of the typical products of the Amalfi Coast! Write us to book your room at Hotel Margherita and visit the Valentì laboratory of Positano.